The 2008 winner was Scott Robbins of Spartanburg, SC, whose “Quartet for Violin, Viola, Cello, and Piano” (1999/2008) was performed during the final ClefWorks’ Dream On concert in January of 2009. The work demonstrates a compelling harmonic language and engaging musical narrative with striking and expressive use of the string instruments. 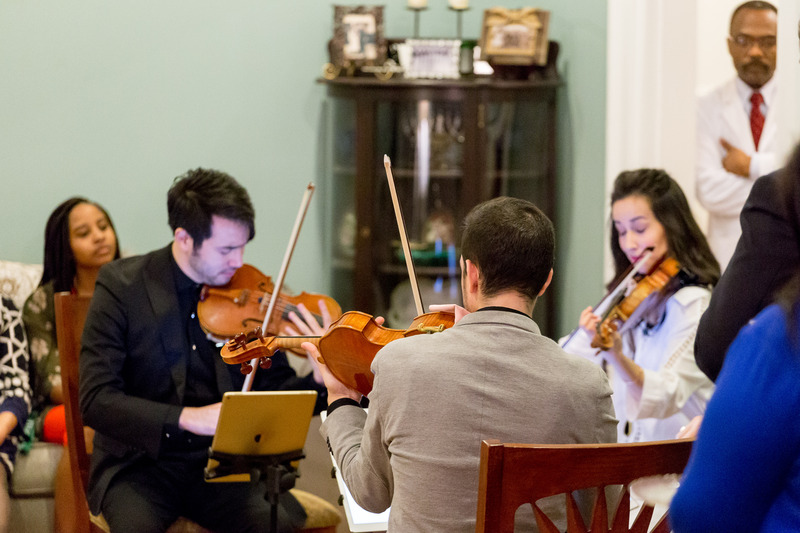 Robbins’ adjudicators were the members of the internationally famous Penderecki String Quartet, who chose his composition from among more than 120 entries by accomplished composers from all over the world. Scott Robbins (Associate Dean, Professor of Composition and Musicology, Petrie School of Music at Converse College) began his musical training as a drummer and guitarist in rock bands. Robbins’ compositions are widely performed and professionally recognized, having received over 50 awards, including the Second International Sergei Prokofiev Composition Competition, Yale University’s Norfolk National Composition Prize, NACUSA Young Composers Award, ASCAP Foundation Grant to Young Composers, American Music Center Composer Assistance Award, Florida Individual Artist Fellowship, and multiple awards from ASCAP and commissions from the SC Music Teachers Association. Among those who have performed, commissioned or commercially recorded Scott’s works are the Czech Radio Symphony, Warsaw National Philharmonic, Moyzes Quartet, Ensemble Radieuse, Gregg Smith Singers, and the Dale Warland Singers. The Clearing, a film for which Scott composed the soundtrack, received the CINE-Eagle award and has been broadcast on Bravo and HBO. Honorable mention was given to two other works of remarkable technical excellence: “Caged Symphonies” (2008) by Vasco Mendonca of Lisboa, Portugal and “Four Flash Fear” (2007) by Nicolas Tzortzis of Paris, France. Other composers with works in the final round of judging were: Alexander Lu of San Francisco, California; Nolan Stoltz of Hartford, Connecticut; Marcus Karl Maroney of Houston, Texas; Andrew Martin Smith of Bowling Green, Ohio; Steven Snowden of Westminster, Colorado; Lansing McLoskey of Miami, Florida; and Edward Green of New York City.